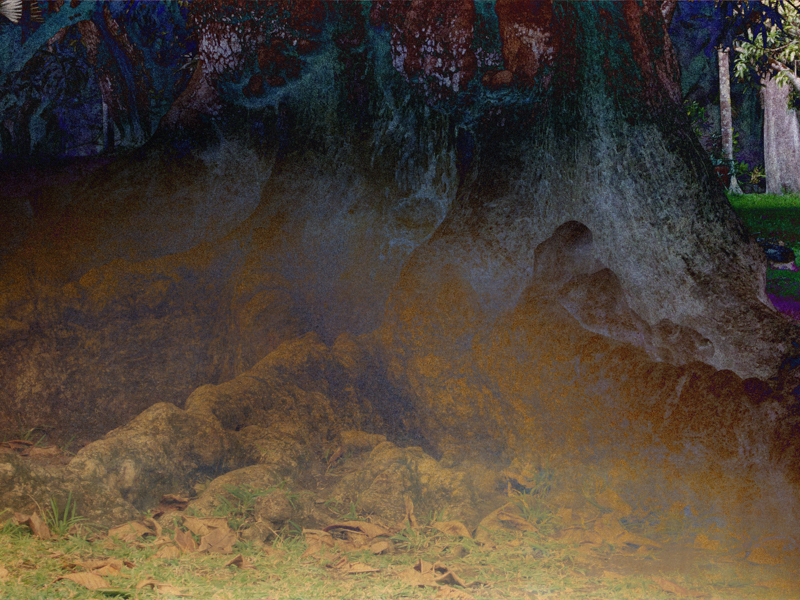 In Surface Tension II Kaufman continues her examination of human presence in relation to the natural world. By utilizing a hybrid approach to photography she blurs the boundaries between illusion and reality. Combining photography of natural phenomena with studio-fabricated imagery she meaningfully considers the plasticity of the medium. Through an exploration of chromatic intervention and hand drawn figuration the works are at once illusionary and familiar. This body of work has two parts: Roots and Radicles and Night Procession. 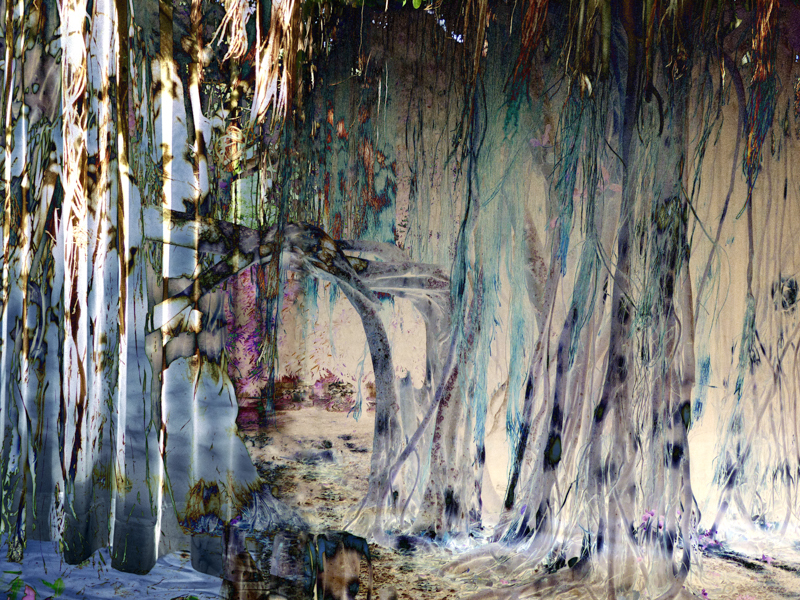 In the former she combines photographic images of trees and root systems collected on a recent trip to South Africa with photographic images of textile screens photographed in her studio. 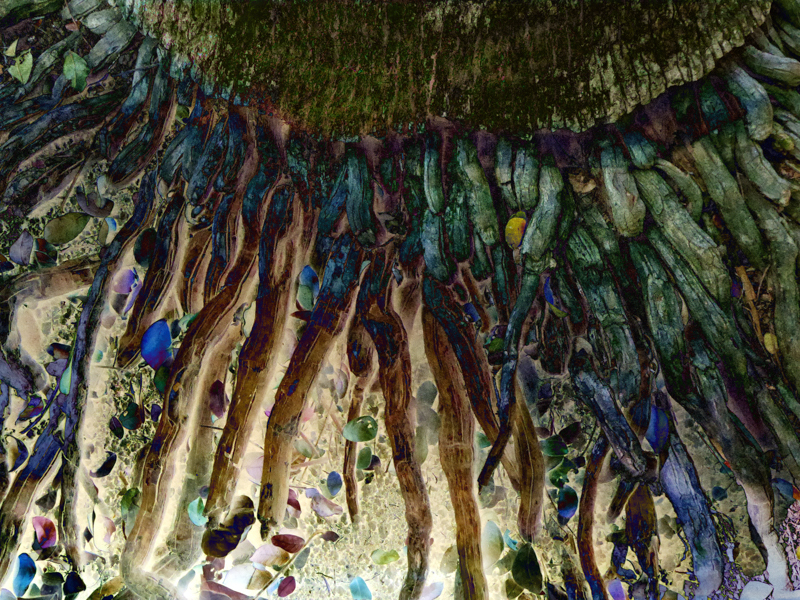 The resulting hybrid creates the unnaturally vivid colors of an elusive subterranean world of complex root systems. In Night Procession she combines her drawings of female characters with the hybrid root and tree imagery developed in Root and Radicles. 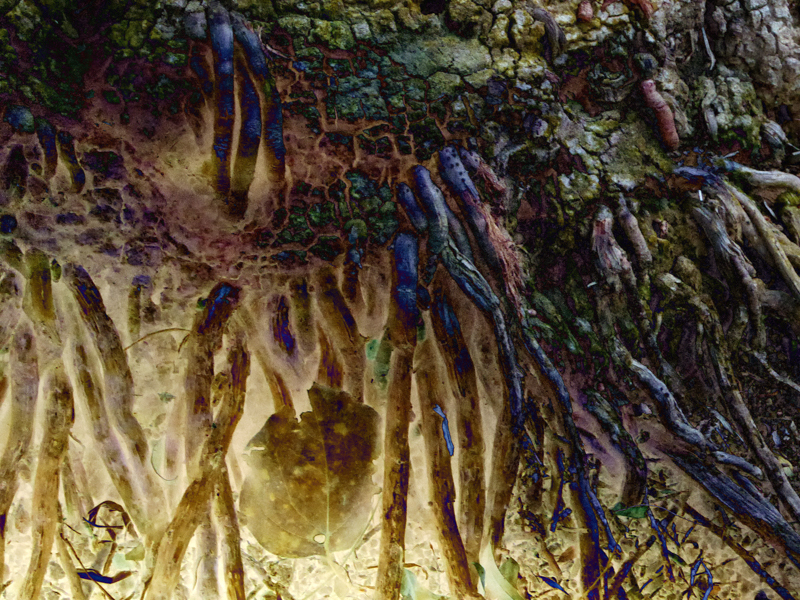 By merging the hybrid root and tree systems with the human figure a state of flux is activated between our physical and psychological relationship with the natural world. The figures’ gestures, sometimes reverential and sometimes all-powerful, reflect our collective anxiety regarding our arduous relationship to the natural world.